Home News DOES YOUR HAIR REALLY NEED A DEEP CONDITIONER? Deep Conditioning is often viewed as a tedious extra step that tends to extend washdays by an additional 30 minutes or so. Therefore it comes as no surprise that most ladies secretly wonder if this tedious extra step is even necessary. Well, deep conditioning is a necessity, irrespective of whether you have natural hair or relaxed hair. Firstly, what is a deep conditioner? 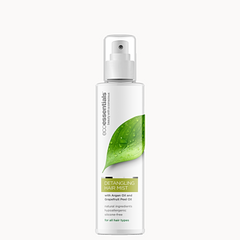 A deep conditioner is a thicker conditioner (like the Eco Essentials Deep Treatment Hair Mask), which is applied to the hair for period of about 15 to 30 minutes and then rinsed out. Regularly deep conditioning the hair helps to prevent damage. Deep conditioners penetrates the hair shaft, thus fortifying hair with moisture and protein, this improves texture and adds shine to the hair. While you might not have damaged hair, deep conditioning is important to maintaining healthy hair. The key to healthy hair is to keep hair moisturised. Over time, hair ends to lose moistures as a result of daily handling and environmental factors like humidity. Without moisture, hair tends to become dull, dry and prone to breakage. 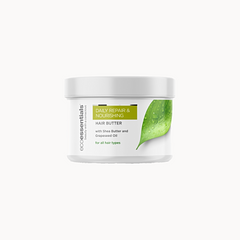 Deep conditioners penetrate the hair shaft and replenish moisture to dry hair. Dry and brittle hair tends to snap and break under tension, resulting in breakage. The key to preventing breakage is to keep hair moisturised and nourished with key nutrients like protein. Deep conditioning is one of the best methods of adding moisture and protein to the hair. Deep conditioning penetrates the hair shaft and restores hair with moisture and nutrients. This tends to make the hair shaft smoother, thus restoring luster and shine to the hair. Hi I am looking for the deep treatment hair mask, I can’t seem to find any on your list of available products. Where can I can I find it. Thanks.